Over the past twelve months, the judging panel considered more than ninety books which made for some difficult decisions. The six books listed here represent the most daring new voices in Australian literature. All six books challenge conventional ideas of what the contemporary Australian novel can achieve, whether via experimental prose, surprising plots or exploration of form. In this incredibly accomplished debut, a young man investigates the unexplained disappearance of rural towns in regional Australia. Shaun Prescott’s prose is intelligent, surreal and brilliantly perceptive. The Town is both an interrogation of, and response to, the existing literary canon. Jennifer Down’s first story collection is a stunning achievement. Connected by a single thematic thread, her short fictions complement each other in subtle, elegant ways. By meticulously depicting the minutiae of everyday life, Pulse Points examines big ideas about death, ageing and love. This is a thrilling debut from a remarkable young voice. Jamie Marina Lau experiments with language and form to capture the heady confusion of a teenage girl in a highly digitised world. Pink Mountain on Locust Island has a beautiful strangeness to it that electrifies the reader. Moreno Giovannoni depicts life in the small, little-know Tuscan village of San Ginese through a series of stories that have been shared across generations. With themes of migration, war and love at its heart, this novel has a fable-like quality that is at once charming and gently ironic. 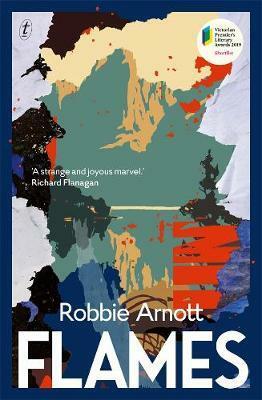 This weird and gripping work is set in the wilds of Tasmania, and centres on the lives of a single family. Robbie Arnott combines a number of genres and styles to create something entirely distinct. His Tasmania is an island state with magical qualities that will draw you in completely. This warm and heartfelt novel gives a fresh perspective of a key moment in Australia’s past – when the Parkes radio telescope brought pictures of the US moon landing to the world. Lucky the galah is a born storyteller and her wry observations will inspire a new appreciation of birds. The 2018 judging panel includes Deborah Crabtree (Readings Carlton); Mark Luffman (Readings Hawthorn); Jan Lockwood, human resources manager; and Ellen Cregan, marketing and events coordinator. Readings’ managing director Mark Rubbo and celebrated author Tony Birch will join the panel to select the winner. The winner will be announced online in late October, and will be featured in the November issue of Readings Monthly. They will receive $3000 in prize money. You can read more about the Prize here. We’re also pleased to have released a bonus episode of the Readings Podcast all about these six great books. You can buy a specially-priced pack of all six shortlisted books here for $149.99 (was $177.94). A magnificently original debut novel about fate, Australia and what it means to be human... that just happens to be narrated by a galah called Lucky. With this long-awaited and utterly unique debut novel, Shaun Prescott announces himself as a compelling new voice. The Town is magnetic, revealing the true depth of Australia: the good, the bad, and the captivatingly ugly. Tuscany as you have never seen it before . . .
Pulse Points is the collected stories by Jennifer Down, author of Our Magic Hour and one of Australia's newest and most promising literary talents. Two siblings traverse the southern island to try to find their way back to each other in this tale about grief and love and the bonds of family.